Is it actually possible to improve Nutella? Yes, and the secret ingredient might surprise you! 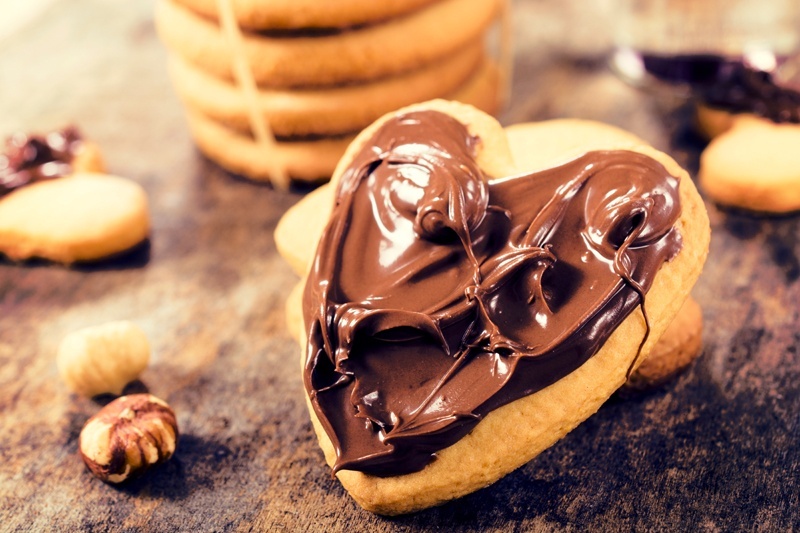 To improve the spreadability and flavor of Nutella®, add extra virgin olive oil! We recommend 1 or 2 tablespoons per 8 oz jar of Nutella. You can scoop Nutella into a separate container and mix the olive oil, or you can just pour the olive oil right into your Nutella jar and mix! Feel free to experiment with the amount of olive oil. We promise you will love the results! For best results, use a fruity extra virgin olive oil. The complex flavor of the oil will balance the sweetness of the sugar and compliment the chocolate and hazelnut flavors. The olive oil will also improve the texture of the Nutella, making it even more creamy and delicious. The newly improved Nutella is great as a spread, as a filling for baked goods or as a topping for pancakes and waffles.